It was 30 years ago this evening that my dad and I got my Cougar running for the first time. We were frantically trying to get it running for my 16th birthday. 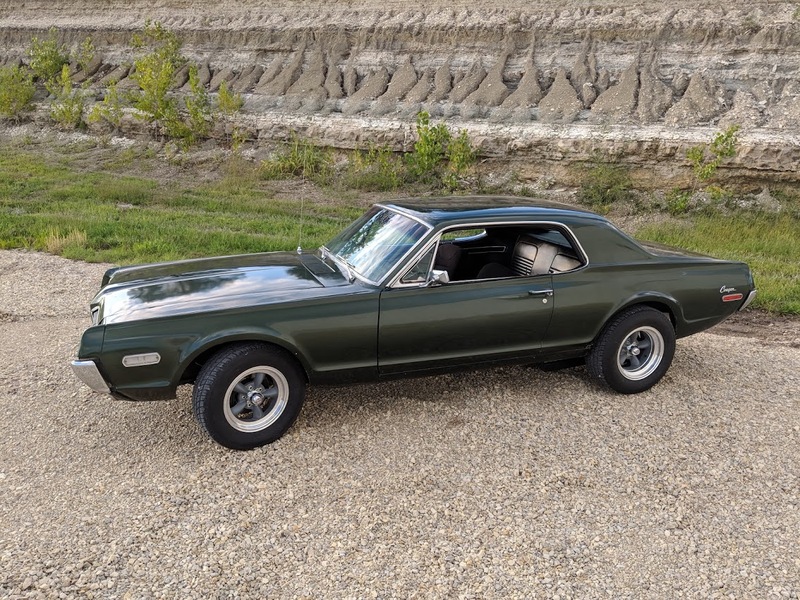 We managed to get it running sometime after midnight, so my first legal (non-restricted license) drive was in this car. I pulled it out tonight and checked a few things over before I take it for a front end alignment tomorrow afternoon. Cool history, cool memory, cool picture, cool car. 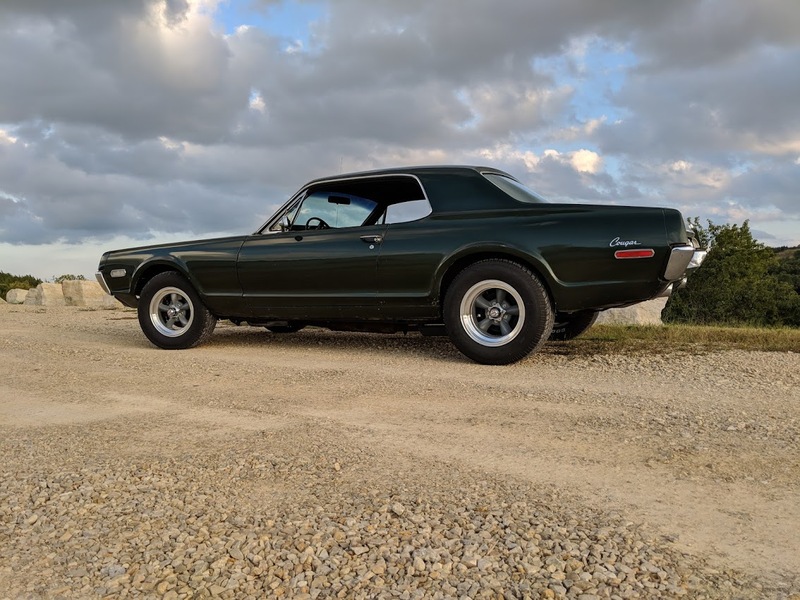 I regrettably drug my feet for years before getting the caster taken care of on my '68 - it would want to dart around a bit, but I took care of that and now it drives like a dream. again, I like it ! 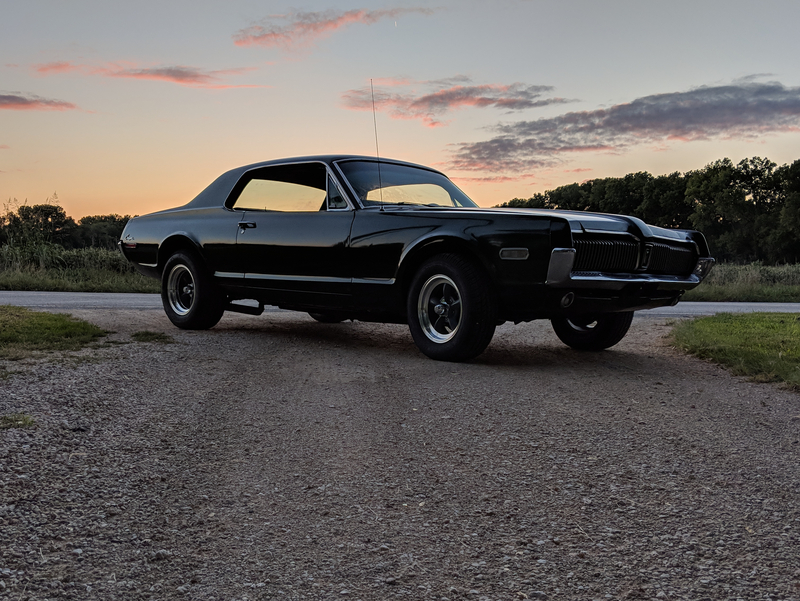 I made a trip to Tulsa, OK for a Cougar show this past weekend, but ended up taking the Mustang instead of the Cougar. They had a small swap meet, so I went over to take a look. 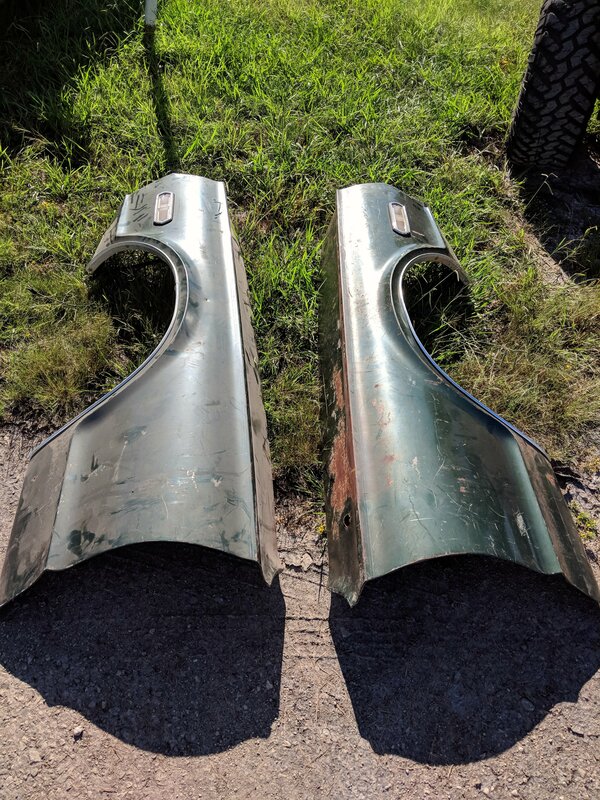 Both of my front fenders need quite a bit of work and I've had plans to just replace them with some nice '67 fenders that I latched on to a number of years ago. 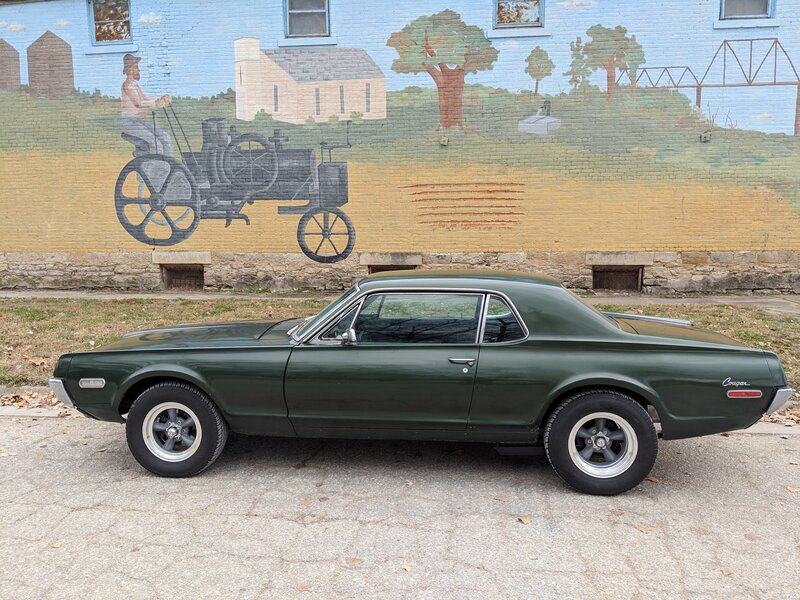 When I got over there I could see someone had a pair of '68 fenders that were actually pretty nice. I ended up making a deal with him, and fortunately a friend of mine from Tulsa was able to fit them in the back of his Jeep and is storing them at his place until I can get there with a vehicle with more room to make the trip home. They'll need a bit of massaging, but overall they're pretty straight and have no rust-through. It should be fairly easy to make them look nice when I get around to redoing the body. One interesting thing is that the date codes on them are really close to what the rest of my car is. One of them is a "correct" date code and the other is about a week too late. Not that it matters, but it's still kind of neat. You can’t beat original in good condition. Great score. Man, I could make a great calendar with just your pics Steve! Beautiful car and great backgrounds with crystal clear pics. 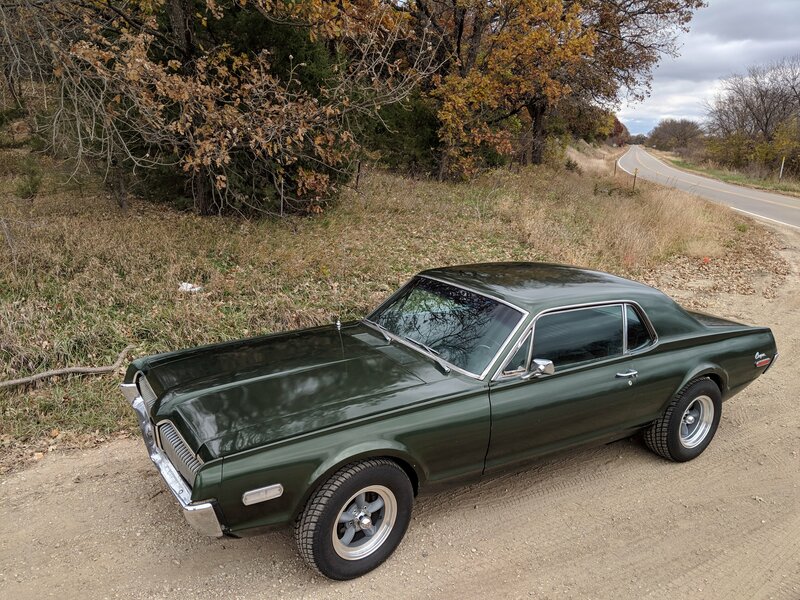 Makes me want a 67-68 Cougar that much more! Thanks, guys. 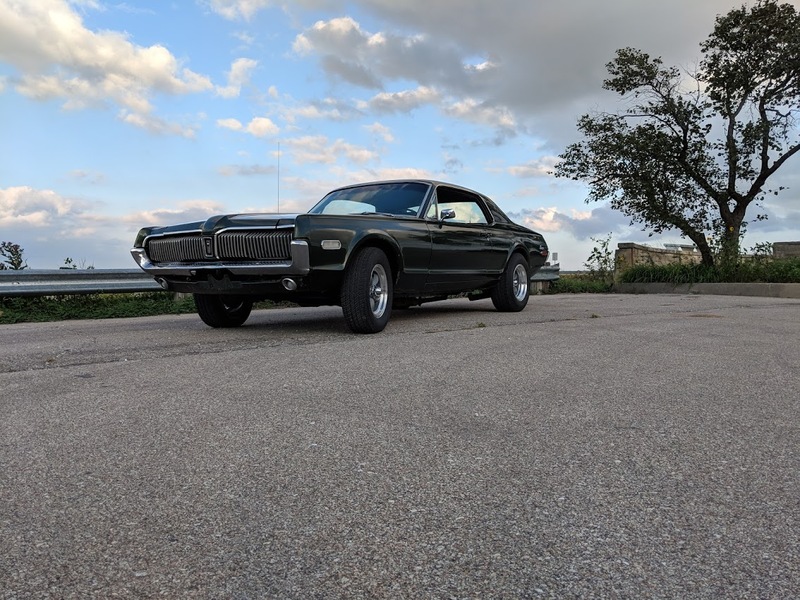 I'm glad to finally have it out of storage and working on it again. It still surprises me how good it looks in pictures relative to how rough it actually is. Dynacorn announced at SEMA that they're going to begin offering replacement panels starting this January, so eventually it will look as good in person as it does in pictures.